Lynda will be sharing her creativity in this card-making class. 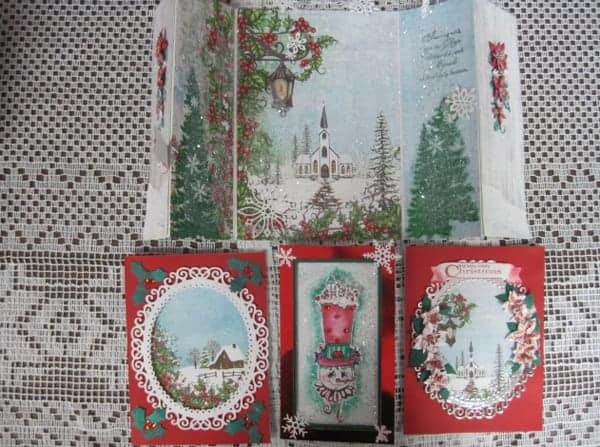 These are 4 cards made with the same Winter’s Eve paper pad! The paper pad is needed – 2 gals can share this 24 pc paper pack. Call 815 232-1181 to order your pad Class Retail $21.99 (reg. $24.99)/pad.